My Grandma is a Racist? I’ve just released a book of short stories, and “My Grandma is a Racist” is one that means a lot to me. It’s not personal in the sense of family history–though I did have a grandmother who didn’t like blacks, Jews, or Catholics–and another who didn’t like hippies. These very complex, loving, interesting women harbored many prejudices as many of us do today. But this is not their story. The setting is the Bush/Kerry election of 2004, when America was taking sides on the Iraq War and Swift Boat Veterans. It’s the story of a little girl, Wendy Redbird Dancing, trying to make sense of her mother and grandmother’s daily battle over politics. And it’s also the story of what happens when no one is looking after this particular child. Racism in the story is overt in some moments and covert in others. It’s conscious and subconscious, as much as every moment in American history is laced with hyper-awareness of whether you are black, white, brown, yellow, or some mix thereof. Don’t think it’s so? Please do a family history and place it against a timeline of civil rights landmarks for the last 150 years. You’ll see members of your family living through some strange and terrible times, whether it touched your family directly in traumatic ways or not. Someone may have an opinion, if not fought, like my ancestor, on one side of the Civil War. If you don’t wake up aware of your particular skin tone, chances are you walk the world with some amount of racial privilege. Even in this post-racial society, we can’t deny that walking into some places as the only white, black, or minority of the particular context, that there are different permissions given. Just the other day I was told that I as a tall white woman will be treated differently in India when I travel there this February. In other words, my risk of assault is lowered for a number of reasons. One of them is the colonial history of British oppression, white on brown. Today, as President Barack Hussein Obama is inaugurated into his second Presidency, we know that America has done something historic in voting him in once and then again. We know it is a particularly special day that his inauguration occurs on the Dr. King holiday, because no matter what your politics, Obama has that content of character that gets certain things done. There will be historic legislation and events for historians to evaluate; it’s not a do-nothing presidency. We can judge him for those actions and not for his blackness. Dr. King may not applaud today’s gun violence nor the recent wars or massive uptick in poverty, but I do believe he would applaud the fact we can judge Barack the man with a different bar than many would have back in 1968. And back to timelines–’68, the year King was shot, was the year I was born. “Midrift” is another story in the collection, written from the perspective of a black woman, by yours truly, a white woman. I was told back in 2004 while workshopping this story that “You can’t write this.” I did anyway, and no doubt I will offend both white and black and perhaps others, too, in taking this risk. Good writing starts a conversation. I hope I’ve done this. 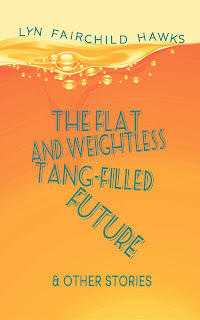 And I invite you to take a chance on my characters who like to stir things up and out of the complacent daily grind. Art for life’s sake. Today, this holiday, I will take inventory of my service to others, as King would have us do. I’ll take inventory of my prejudices and the breadth of my mind, treating this as a New Year’s Day to be a better person this 2013. I have a hand in this historical timeline, and I hope to leave a mark that helps our progress as a human race–one people, under God, and indivisible, no matter how hard we try to tear ourselves apart. What is your mark, and what do you want it to be? 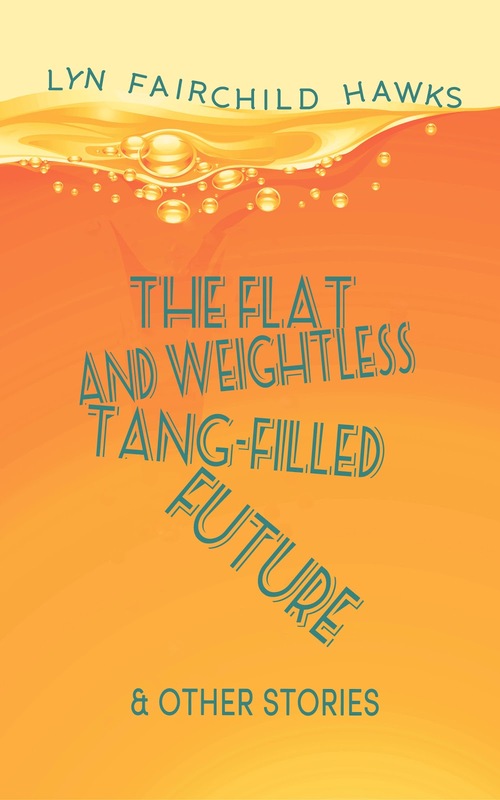 The Flat and Weightless Tang-Filled Future is available through the Kindle select program, viewable on Kindle and with the Kindle app on iPad, iPhone, PC, Mac, Blackberry, and Android phones.